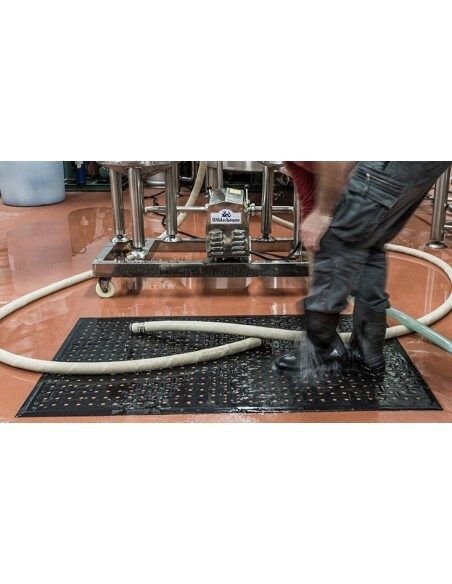 The inorganic antimicrobial agents inhibit the growth of bacteria such as E-coli and Staphylococcus Aureus. 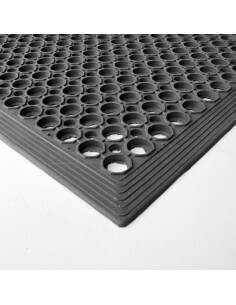 The nitrile rubber (NBR) is resistant to oils, acids and grease. 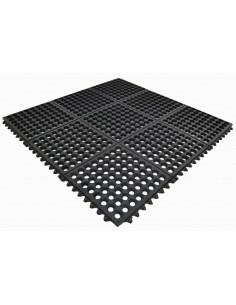 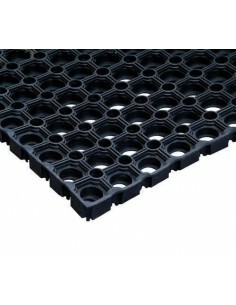 It features a containment border and drainage holes which facilitate natural drainge of liquids away from the walking surface. 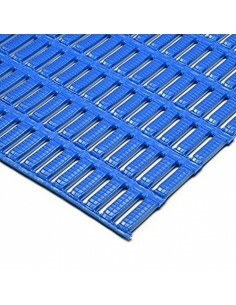 The low profile border facilitates cart traffic. 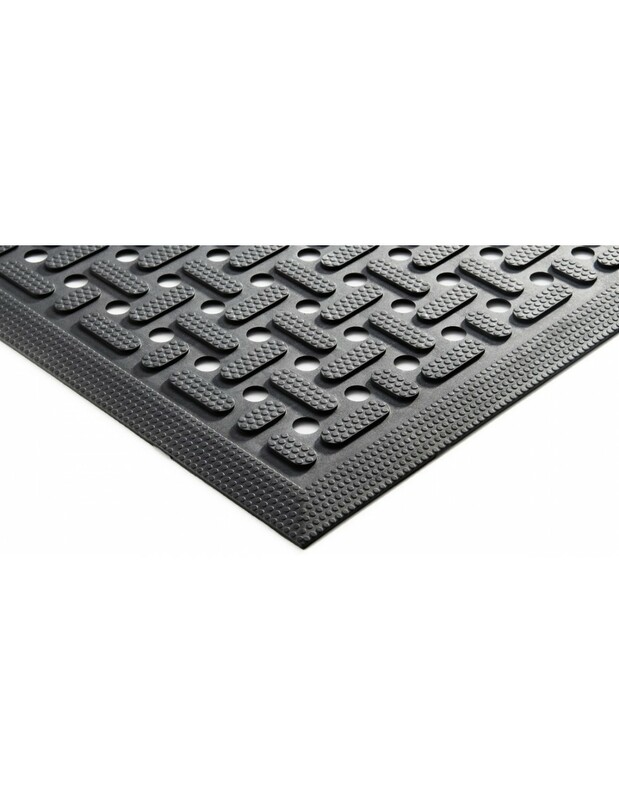 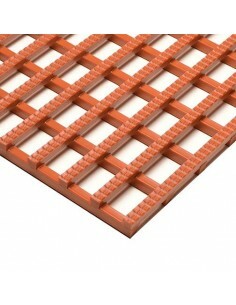 The highly textured surface provides excellent traction in wet and oily conditions. 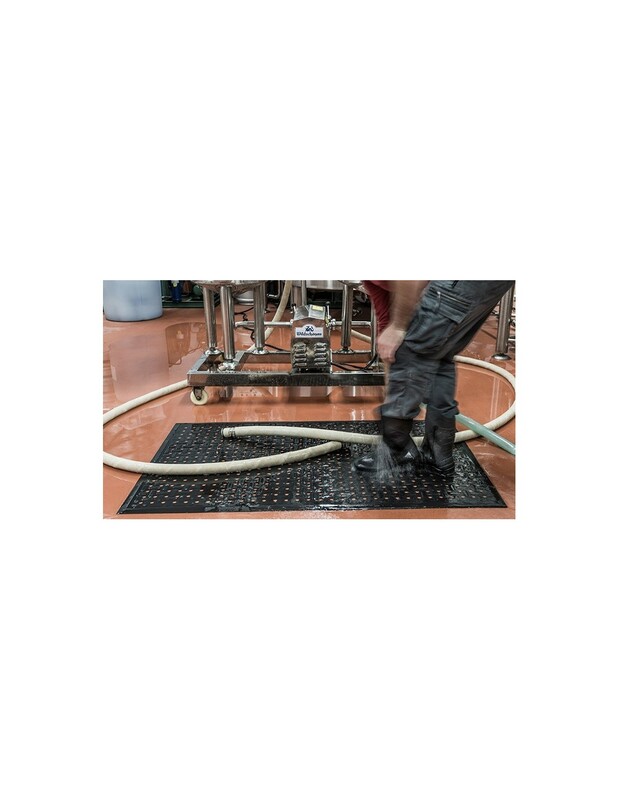 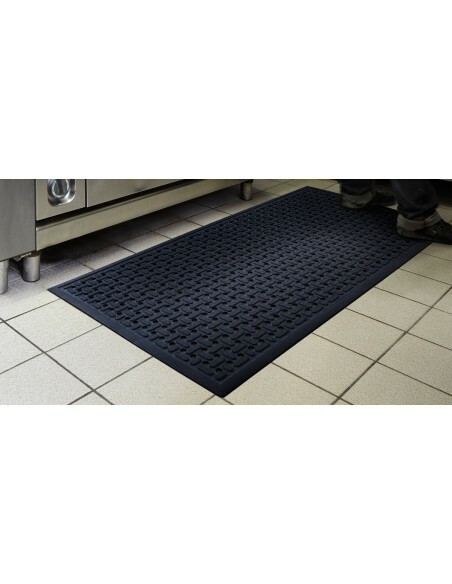 Regular cleaning of the mat will extend its lifespan especially where exposed to oils, acids and chemicals.